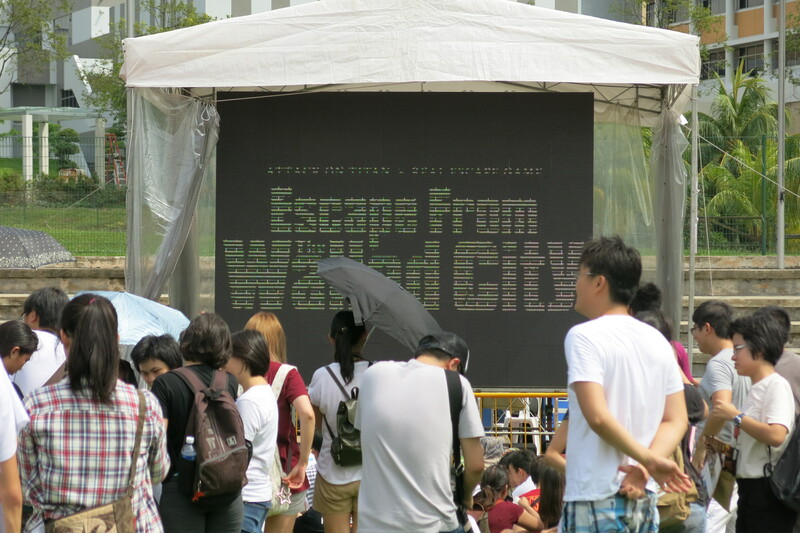 Huge crowds gathered at the Yio Chu Kang Stadium on the 13th December, a hot Saturday afternoon for the real escape game: Escape from the Walled City. What is the game about? 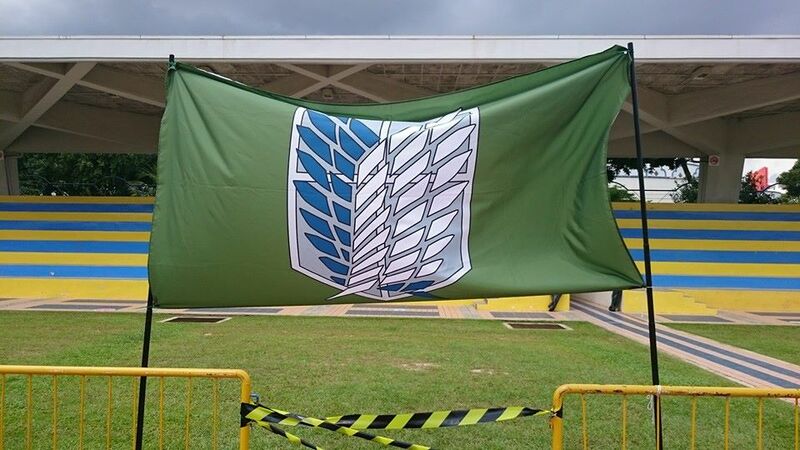 It is based on the popular anime Attack on Titan and the goal of the game is to solve puzzles that would eventually lead to the wakening of Eren, the only Titan on the side of the humans who would protect them from the Titans invading the city. Around the stadium are different stations which can only be accessed by solving various puzzles. Clues to the puzzles could be found all over the stadium and people were seen running across the stadium in excitement. 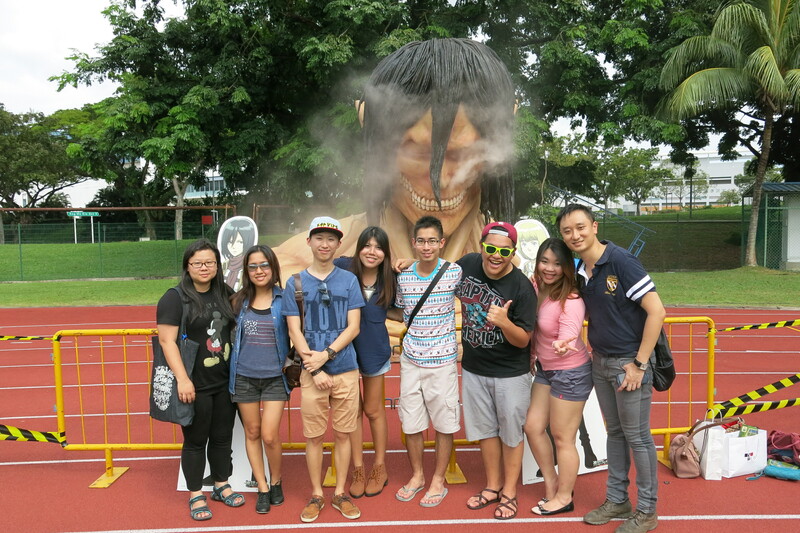 It was a first time for many of our bloggers to experience the real escape game and in such a setting too. 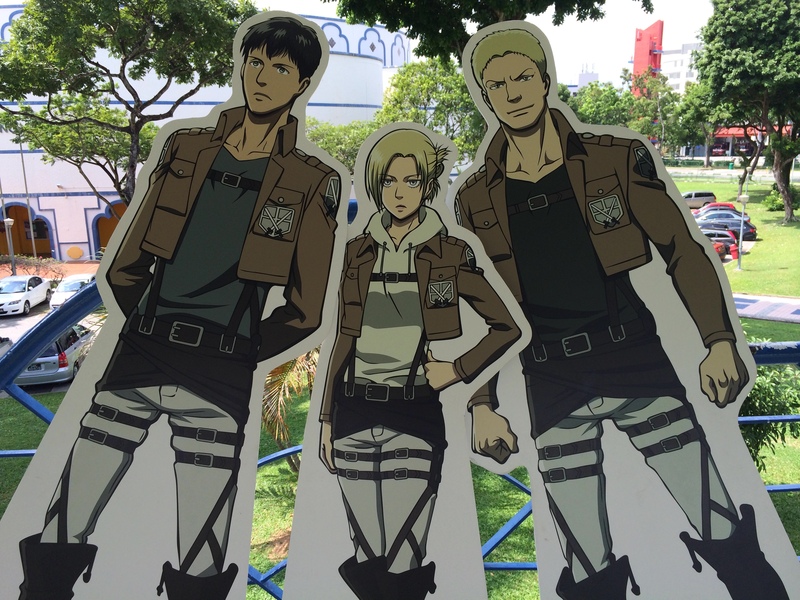 Our bloggers and I enjoyed the game a lot even though we had no previous knowledge of the anime. We agreed that the puzzles were really well crafted and suited the story of the anime. It was not the first time I participated in this real escape game but even so I still remain impressed by the materials used in the puzzles and how challenging it was. Thank you Vivid Creations for the invitation. We look forward to the upcoming game at Gardens by the Bay during the Valentine period. Stay tuned to our website for the latest updates on real escape games.